For more information on classes, trips, and photography schedules and costs - E-Mail Peggy Goldberg at pgoldberg@goldenimages- photo-scuba.com or talk to her in person at 352.591.1508. Peggy is a USCG Licensed Captain, a Master Scuba Diver Trainer and an HSA (Handicapped Scuba Association) Instructor and Cave Diver. She specializes in teaching mature adults and those that need special attention. She has been diving for over 40 years - starting in the ‘60s in the Chesapeake Bay on the double hose regulators and no BCDs. 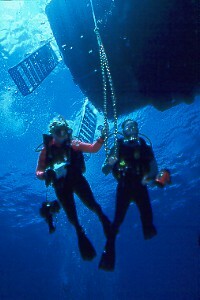 She started teaching diving in 1988. Peggy has been a Nature Photographer for more than 50 years, getting involved with Underwater Photography in 1986, travelling a good part of the world in pursuit of images. She has several national and international awards, has been published in various magazines and books, exhibits and sells her works and does commercial underwater photography for several businesses and companies. 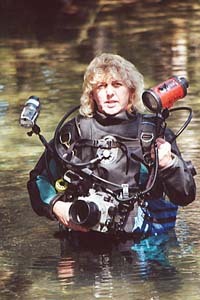 Peggy teaches both land and underwater still photography and videography. 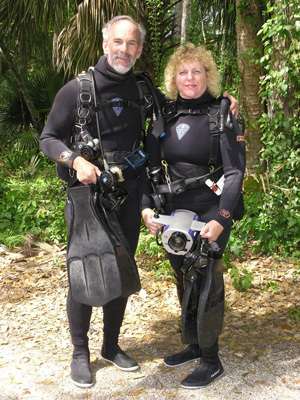 Peggy offers guided trips around North Central Florida for divers and photographers. She also does location scouting and underwater consulting for the entertainment industry. Captain Peggy has been an Invited Keynote speaker at Mote Marine Laboratories, the Space Coast Birding and Wildlife Festival in Titusville, the Florida Trail Association - among others. She has presented slide and digital presentations for numerous organizations. Peggy and Bill, her husband of 50 years, live on a farm in the Ocala-Gainesville area of North Central Florida. She is a retired farrier (horseshoer). They had bred and trained Arabian competitive and endurance race horses. Peggy and Bill are now raising miniature Zebu cattle. © Copyright 2000-2019 Golden Images, Inc. All rights reserved.